The billions Premier League football clubs will net between 2016 and 2019 as a result of yesterday's domestic TV rights deal will dwarf sponsorship income, even from the title Barclays deal, experts have pointed out. The 70 per cent increase in the amount Sky and BT have agreed to pay to screen matches live means that even the club that finishes bottom of the Premier League in the 2016/2017 season will earn £100m from the deal. "This takes the pressure off the clubs with regards to sponsorship, which has been a buyer’s market with much less inflation," said Generate Sponsorship managing partner Rupert Pratt. Pratt said the TV income dwarves the £2m to £5m per year cost of sponsoring a low to mid-tier Premier League club. Among current shirt sponsors are AirAsia (QPR), Wonga (Newcastle) and Bet365 (Stoke). "That hardly covers the wage bill for a decent striker and it is subject to the cost of servicing the sponsor, staffing the club’s commercial team and the risk of the sponsor contractually paying less if the club is relegated." Even the £40m per season the Premier League gets for Barclays’ title sponsorship will look small, especially when one factors in the expected increase in the value of overseas TV rights, for which the audience is nine times that in the UK, according to Synergy CEO Tim Crow. With the Barclays deal due to come to an end with the 2015/2016 season, Crow said the sponsorship is now on the open market, as a January report by Sky News claimed. Sky News reported that Diageo was working on a bid and Barclays was evaluating a potential renewal. One area where sponsorship costs could be subject to upward pressure is broadcast sponsorships sold by Sky, which is paying 83 per cent more for its rights than it did in the last deal. BT is paying 30 per cent more than in the last deal. It also has to consider whether it will offer a broadcast sponsorship of Champions League football when it starts screening it from the 2016/2017 season under an exclusive three-year deal to which it beat ITV and Sky. Aside from the Champions League change, the current marketing battle lines between BT and Sky are entrenched by the new Premier League deal. BT remains a credible but minor player with two out of the seven available packages of matches while Sky remains dominant with five. Sky will broadcast 126 fixtures a season versus 116 under the existing contract, including live coverage of matches on Friday evenings for the first time as well as its usual Saturday afternoons, Sunday afternoons and Monday evenings. 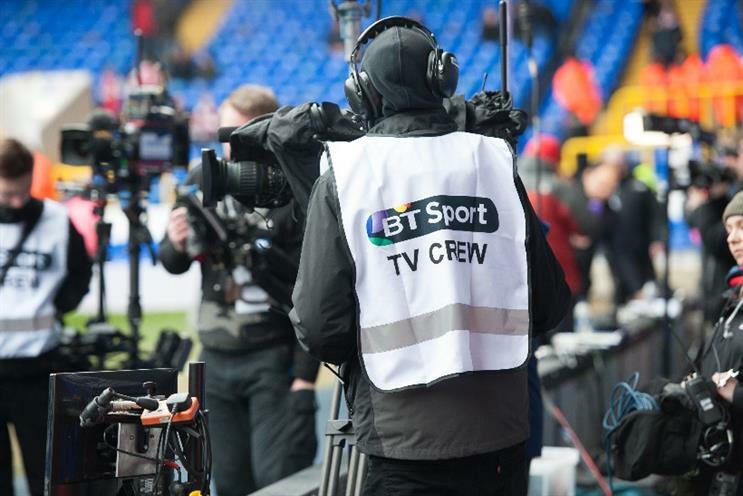 BT Sport's coverage will increase from 38 to 42 games, including Saturday evening matches.